The story is the same everywhere – the rising cost of living has not been accompanied by an increase in wages. HERE we go again – another set of impressive growth figures. Bank Negara has announced Malaysia’s latest economic growth at a commendable 6.2% in the third quarter of 2017. The pace of economic growth for the three months up to September was faster than the 5.8% registered in the second quarter of the year. This growth rate was the fastest since June 2014. On a quarter-on-quarter seasonally adjusted basis, the Malaysian economy posted a growth of 1.8% against 1.3% in the preceding quarter, according to the Statistics Department. Malaysia’s robust economic growth has been attributed to private-sector spending and a continued strong performance in exports. But try explaining this impressive economic growth rate to the average salaried worker struggling to pay his monthly household bills. Stretching the ringgit is especially great for those living in urban areas, and Malaysia is increasingly becoming urbanised. Compounding matters is the depreciation of the ringgit, reducing the purchasing power of the ordinary folk. They can’t buy the same amount of food as they used to previously. Employers are being forced to cut operating costs to match declining profits. Job security is becoming paramount. Many are fearful of losing their jobs, as companies cut cost to cope with the challenging business landscape. And the reality is that many companies are not hiring, as evident from the unemployment rate of 3.4%. The Malaysian Employers Federation (MEF) has cautioned that more people would be out of a job this year due to the current economic challenges. Apart from the challenging landscape, technology has disrupted several brick-and-mortar businesses, forcing them to change their way of doing business. According to MEF executive director Datuk Shamsuddin Bardan, economic challenges will compel bosses to review their workers’ requirements. While official statistics show that the economy is charting a strong growth path, the trickle-down effect is not being felt. Why is the sentiment on the ground different from what the politicians and officials are telling us? Why is there a disconnect in the economy? Are the figures released by the government officials more accurate and authoritative compared with the loud grumblings on the ground that are anecdotical in nature devoid of proper findings? We hear reports of supermarkets and hypermarkets closing down, but could that be because their business model no longer works as more Malaysians turn to online shopping, with e-commerce companies announcing huge jumps in traffic? It is the same with the malls – retail outlets are reporting lower sales and this is compounded by the fact that there is an oversupply of malls. International restaurant chains such as Hong Kong’s dim sum outlet Tim Ho Wan and South Korean bakery Tous Les Jours and South Korean barbeque restaurant Bulgogi Brothers have ceased operations. But then again, it could be that their offerings and prices had failed to compete effectively against the local choices. According to the central bank, demand is anchored in private-sector spending. “On the supply side, the services and manufacturing sectors remain the key drivers of growth,” Muhammad said. Looking ahead, the governor said that the economy this year is poised to register strong growth and likely to hit the upper end of the official target of 5.2%-5.7%. The trickle-down effect is not being felt simply because there is uneven growth in the various sectors of the economy. The property sector, which provides the biggest multiplier effect, continues to be in the doldrums. The weak ringgit has had a big impact on the price of food, especially processed food and beverages that make up 74.3% of Malaysian household spending. 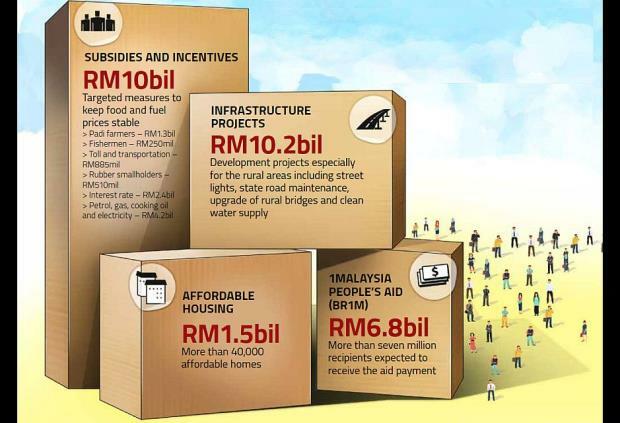 It was reported that Malaysia had imported a whopping RM38bil worth of food between January and October last year. In recent weeks, the ringgit has strengthened to about RM4.16 against the US dollar. But it is still far from RM3.80 to the dollar and the outlook of the currency remains uncertain. We can’t even hold our heads up against the Thai baht and Indonesian rupiah – two currencies that have appreciated against the ringgit. The headline economic numbers are showing good growth, but Malaysians’ purchasing power has dropped and our living standards have eroded. That is the bottom line. We are living in denial if we do not admit this. This column first appeared in StarBiz Premium.